We provide innovative services to increase the efficiency and safety of air traffic control and airport operations in the UK and overseas. We are the biggest company of our kind, working in over 30 countries worldwide. Currently we control 75% of all UK air traffic and are contracted to provide tower services at 9 Spanish airports through FerroNATS, as well as working on capacity and expansion projects at many airports in Asia and the Middle East. This experience and expertise means that we are ideally placed to help with airport challenges – whether you are a private airport looking to grow or a government looking towards making your airports more commercial. We understand how the complexity of the environment calls for an integrated approach to running operations. 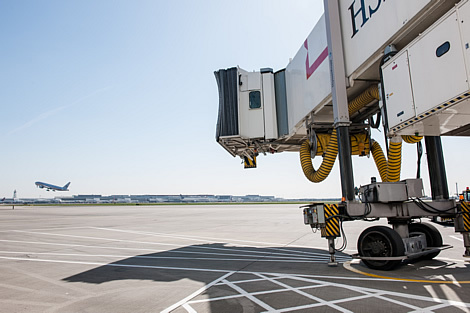 We help you maximise efficiency through seamless management of all component parts of airside operations. The result? Increased operational performance and the highest levels of safety; giving your customers a better experience and driving your business forward. NATS Consultant Peter Tomlinson provides an insight to the role we can play in optimising an Airport’s efficiency and safety in the video below. We have developed proven ways of working in all aspects of airport operation, from cost control to capacity enhancements and highly effective safety management systems. Our unique, systemised approach is designed to drive out inefficiencies, enabling your people and systems to work closely together and increase safety. We include sophisticated business resilience measures that ensure the smooth running of your airport during difficult weather or unusually busy periods. You’ll also benefit from our familiarity with the unregulated Air Traffic Control market. We have 10 years’ experience in this area through our commercial contracts, driving efficiencies at the world’s busiest single and dual runway airports – developing skills that are just as relevant whether your airport is large or small. Our systemised approach is designed to drive out inefficiencies, enabling your people and systems to integrate most effectively. ATS management NATS Airports offers a range of services to make sure that your airport can improve safety measures while optimising resources.